PennWest Industrial Trucks has been in the Material Handling business for more than 35 years! Incorporated in 2005, the history of PennWest Industrial Trucks dates back late 1960’s during the industrial development boom along the rust belt, supplying and servicing material handling equipment for businesses from the windy ports of lake Erie to the steel furnaces of Pittsburgh to the coal mines of Morgantown. PennWest continues that tradition, and is proud of our partnerships with world-class equipment manufacturers including Toyota and Linde Material Handling. As one of only sixty Toyota dealerships in North America, PennWest’s tradition of excellence in business is solidified by the adoption of “kaizen,” Toyota’s well-known practice of continuous improvement. By moving toward excellence, we lift your industry. 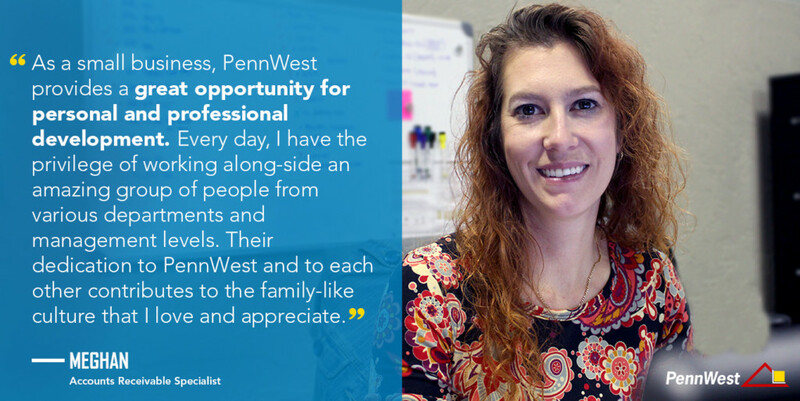 Everyone at PennWest, from the receptionist to the sales manager, values customer service above all else. This customer-focused attitude transfers to our company culture. One that provides the employees a fun, relaxed and rewarding atmosphere, one that promotes personal and professional growth, one that demands responsibility, encourages decision makers and challenges each employee to give their very best at everything they do. In other words… a place they WANT to come to every day. Each employee at PennWest has been handpicked from within our industry, and to be a member of our outstanding team, each employee has to demonstrate that they are 100% committed to providing our customers the highest level and most efficient service possible. We are always on the look out for talented individuals to join our team! If this sounds like you, check out our careers page to see current job openings.